Soccer hunk David Beckham was unveiled as People's 'Sexiest Man Alive' Tuesday night onJimmy Kimmel Live. He wasn't a superhero actor nor a lost love interest of Taylor Swift, as Kimmel's audience suspected during a question-and-answer session before the big reveal. Beckham, videoconferencing in to the show from London, thanked his parents and his hair dresser as he showed off the gleaming award and the People magazine cover flashed on the screen beside him. "I mean it's the best moment of my career," he quipped. 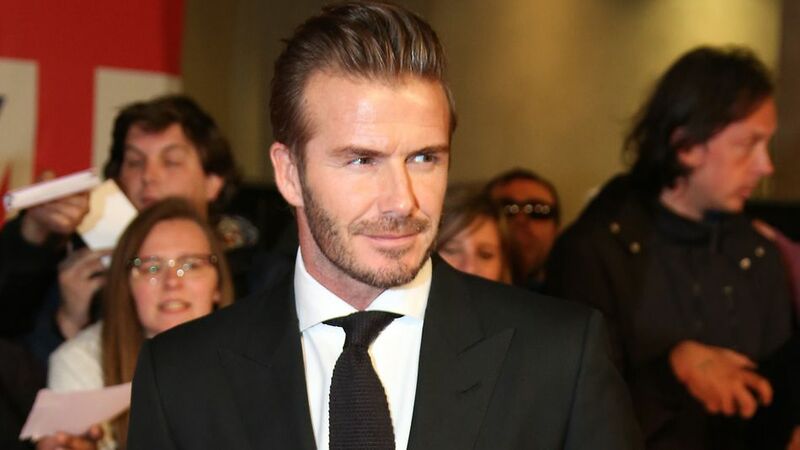 "Tough and tender" Beckham takes the title from last year's winner, actor Chris Hemsworth. A world's sexiest men survey showed results the English men was 3rd in ranking. 2nd was Italian men. To me , Italian men should top the list. how about singaporean men? i like japanese women. Sorry none from asia though i find some asian men fit the bill. Hello. It is sexiest men not sexiest women. ang moh lang lj very soft..but his soccer skill quite good. ang moh lang lj very soft..
no. i see from ---.com. i usually visit japan section only. then u say abt ang moh? sometimes japan section also will appear one ang moh guy with many jap girls. you dunno meh? you must be pmember there like me. time to sleep...my volcano erupt and i feel tired. his son said sexiest? really?